BT is looking for SMEs with innovative ideas to help the government meet the changing needs of people across the UK. The BT Infinity Lab SME Award: Digital Innovation for the Public Sector is being launched today. SMEs are being invited to share ideas about how to do things differently, whether it’s making education, defence, health or other government functions more efficient by moving services online, improving how government interacts with citizens or creating new solutions which could change lives. Entrants can now submit their transformational suggestions to www.btplc.com/ideasthatchangelives. Closing date for entries is Sunday February 22, 2015. 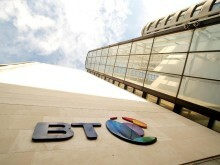 Shortlisted finalists will be invited to the BT Tower in London where they will present their proposals to a panel of BT, Cabinet Office and TechHub industry experts, who will award the top prize and two runners up prizes. The winner will receive £15,000, six months support from BT to develop their product or service and six months’ membership of TechHub’s sold-out innovation space. Two runners-up will each receive £7,500. TechHub is BT’s partner in the Infinity Lab competition and today’s launch is round five in the series aimed at startups and SMEs1. Ian Dalton, president, Global Government and Health, BT Global Services, said: “This initiative will showcase the breadth of capabilities of SMEs to the UK public sector. BT has around 900,000 SMEs as customers, 63 per cent of our suppliers in the UK are SMEs and they are at the heart of our open innovation model. We have a stake in ensuring that they are given the support and mentoring they need to grow and to be successful. Elizabeth Varley, CEO and founder of TechHub, said: “This programme recognises how technology innovation can transform people's everyday lives. TechHub is delighted to support this through working with BT to celebrate products and reward startups that really make an impact." Full terms and conditions can be found at www.btplc.com/ideasthatchangelives. TechHub creates spaces around the world for tech entrepreneurs to meet, work, learn and collaborate. By offering flexible workspace, access to an energetic community and the resources of a global company with the energy and shared knowledge of a tech conference and the buzz of a social networking, TechHub enables technology startups to work smarter, develop faster and increase their chance of success. TechHub was founded in 2010 by Elizabeth Varley and Mike Butcher, and is a growing community of thousands of tech entrepreneurs and a network of spaces for startups. It offers flexible workspace facilities, events, workshops, advice sessions, contacts, PR and press opportunities and an important tech industry network. TechHub London has two sites in Shoreditch’s ‘Silicon Roundabout’ with one opening on the Queen Elizabeth Olympic Park in 2014, and has additional sites in Manchester, Riga in Latvia and Bucharest in Romania. Further new TechHub cities have been announced in Swansea, Wales and Bangalore, India and more will be announced by the end of 2013 as part of the company’s global expansion.